Vegetable Bath is delicacy from Karnataka which is quite similar to Vegetable Pulao . Vegetables like Carrot , Beans , Potato , Cabbage and green peas are cooked along with rice and coconut based masala paste. 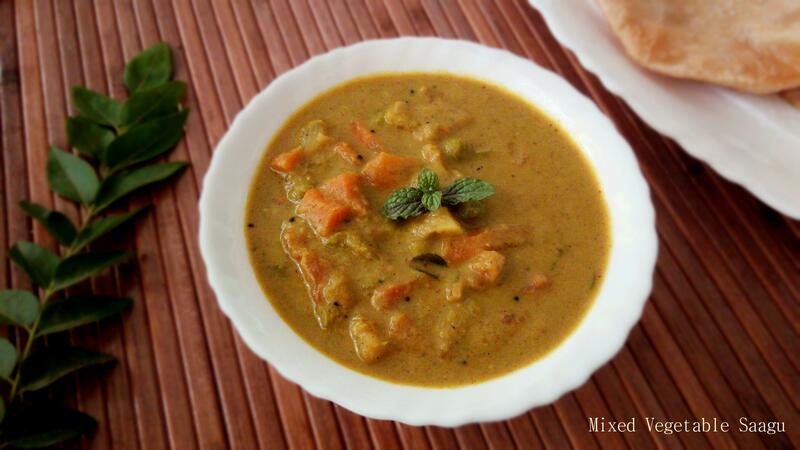 Vegetable bath is a one pot recipe and also it is makes one of the best lunch box recipe. Most of the Karnataka based recipes makes use of fresh coconut . If you have no access to fresh coconut then you can soak dry coconut in warm milk or water for 30 minutes and use it . Alternatively you can even use coconut milk , but it slightly differs in taste. as one of the dish during family and friends gatherings at home. As it is easy to cook , delicious to taste and its one pot recipe . Usage of utensils and time will be saved so that many other dishes can be cooked side by side. Hence it becomes one of the rice varieties during gatherings. Other vegetarian rice varieties which I mainly prepare during gatherings are Bisibele Bath , Tomato Bath , Puliyogare , Vegetable Pulao , Avarekalu Bath , Palak Paneer Pulao , Vangi Bath ,Vegetable Biryani and Green Peas Jeera Rice. 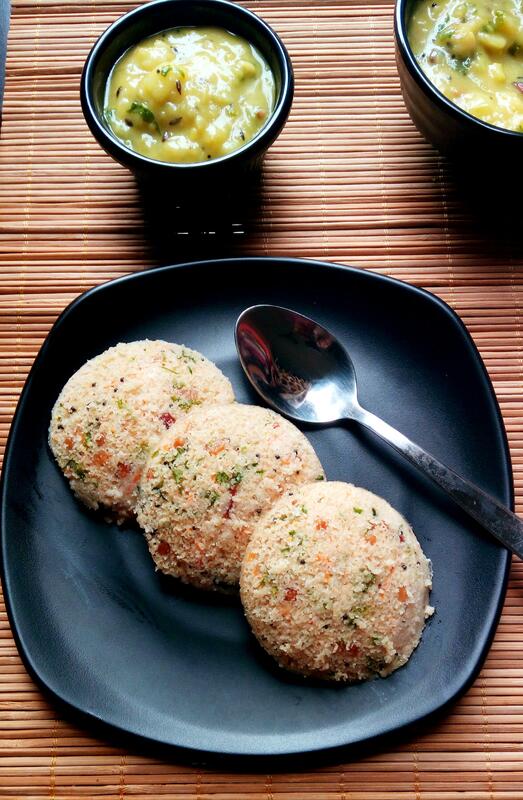 Vegetable Bath - This is Karnataka Style Vegetable Rice preparation very similar to Vegetable Pulao. Rinse and wash 2 cups of rice , soak it in water for 20- 30 minutes. For masala paste , add fresh grate coconut 1/2 cup , 4 cloves , 1 inch cinnamon stick , coriander leaves , turmeric powder , ginger ,garlic , green cardamom , green chillies , cumin seeds and saunf . Blend to a coarse paste by adding 2-3 Tbsp of water. Heat 1 Tbsp ghee/ clarified butter and 3 Tbsp oil in a pressure pan or any deep pan/pot . Add 2 tbsp chopped mint leaves . Now add chopped onions and fry till it turns translucent. Add in 1 cup of chopped methi leaves and saute till it wilts. Add blended masala paste and mix well . Allow it to cook on medium heat for 5-8 minutes . Cook masala well till you get nice aroma and oil starts to release from the corners. Add in fresh green peas ( or overnight soaked dry green peas) and mix well. Now add all roughly chopped vegetables and mix well. Add 1 chopped tomato and mix well. Drain soaked rice and add in to the vegetables , stir well and continue to cook for 4-5 minutes . Now add hot water and pressure cook for 1 whistle. Allow pressure to settle down on its own. If you cooking in an open pot , close the lid and cook till done. Open the lid , add chopped coriander leaves , lemon juice and 1 Tbsp of ghee , mix well. Serve hot with cucumber raita or any other raita of your choice. If fresh coconut is not available then you can soak dry coconut soak in warm milk or water for 30 minutes and use. Or else you can even use , coconut milk . 1/2-3/4 cup of coconut milk can be used. Add coconut milk after , rice is added and before water . If using coconut milk then adjust the amount of water accordingly to cook rice. As pressure cooker is used here for cooking rice , 3.5 cups of water is sufficient. As masala and vegetables also has water content. You can also reduce the amount of green chillies to 4 and add 1/2 tsp of red chilli powder and 1/2 tsp of coriander powder ,while blending the masala. Meanwhile , do the preparations like cutting vegetables and blend masala. Add blended masala paste and mix well . Allow it to cook on medium heat for 5-8 minutes . Cook masala well till you get nice aroma and oil starts to release from the corners. Add 1 chopped tomato and stir in . Now add hot water and pressure cook for 1 whistle. Allow pressure to settle down on its own. If you cooking in an open pot , close the lid and cook till done. add1 Tbsp of ghee , mix well.